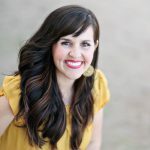 Now, if you’ve followed this blog for awhile you know I LOVE, LOVE, LOVE Sugar Cookies! And I LOVE Sugar Cookies with almond extract the best. In my books, it’s actually essential for good sugar cookies. 😉 The sugar cookies my mom brought had almond extract and were so good!! 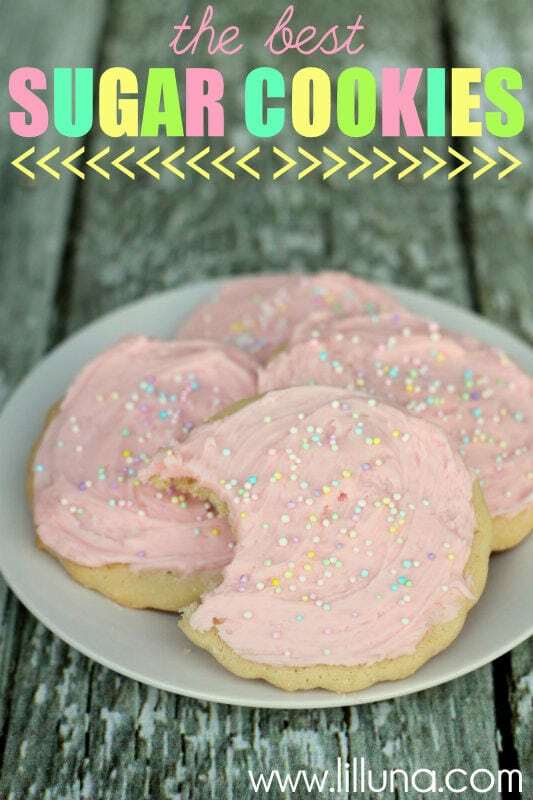 If you are up for trying a new Sugar Cookies recipe, then you need to try these ones cuz they were chewy, soft and delish! These come from Big Mamas Home Kitchen and are called Chewy Sugar Cookies. 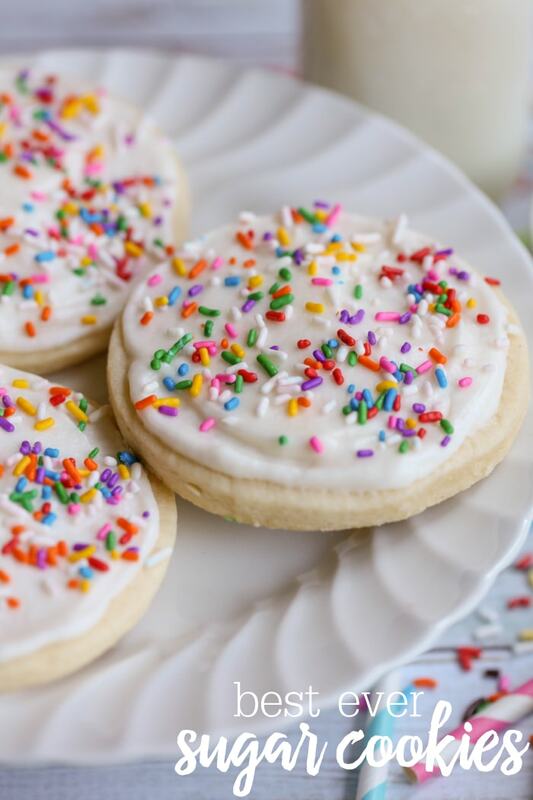 We drizzled the frosting and sprinkles on them and they turned out perfect!! 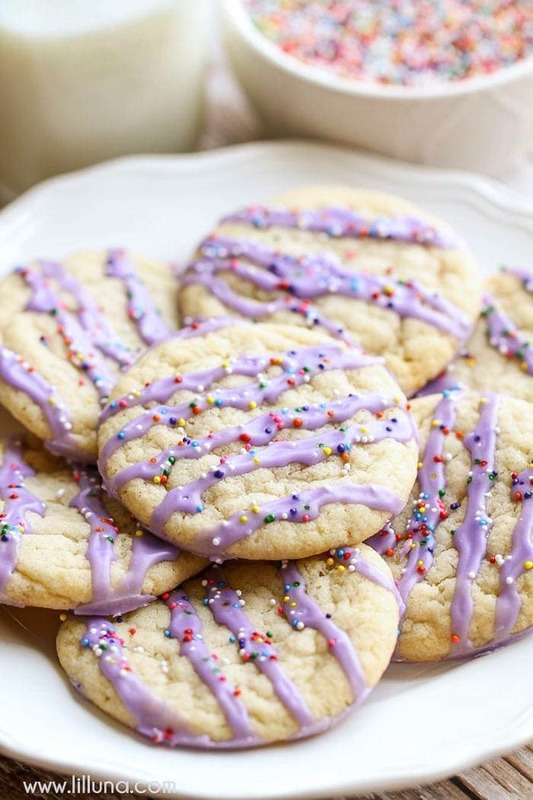 These Chewy Sugar Cookies are SO yummy! 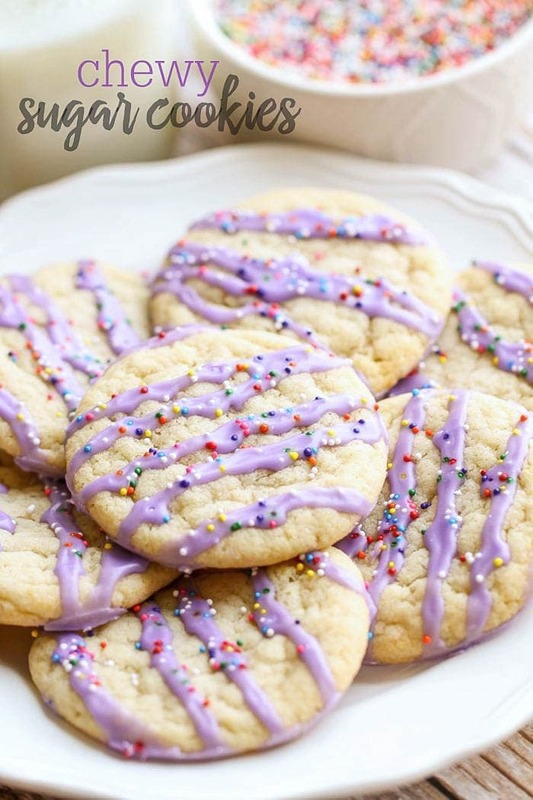 A hint of almond extract and a drizzle of glaze makes these cookies irresistible! 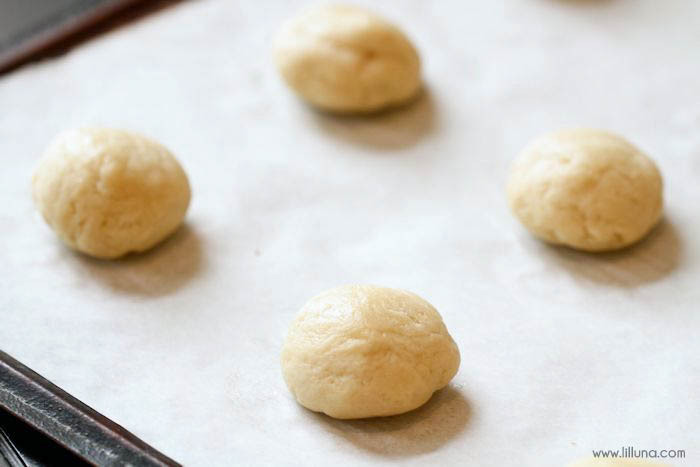 Preheat oven to 350 and line your cookie sheet with parchment paper. In your mixer, cream sugar, butter, shortening, and salt until light and fluffy. Add egg, corn syrup, vanilla and almond extract and beat until well mixed. In a separate bowl mix flour, baking soda and baking powder. Add to wet ingredients. Scoop (I use the cookie scoop tool) and roll into balls. Pat down balls a bit. Bake for 10-12 minutes. Let cool until warm. 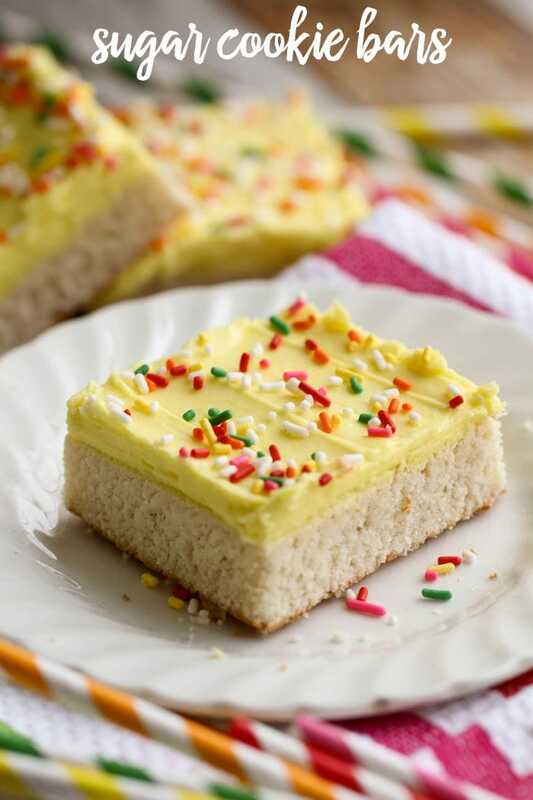 Make almond frosting: Mix 1 cup powdered sugar, ½ tsp. almond extract and a few tablespoons of milk (until it's the consistency you want). 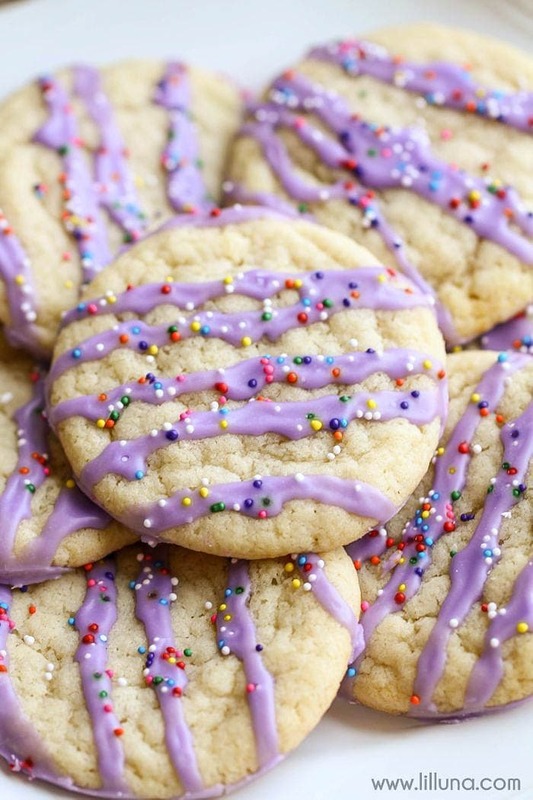 Drizzle frosting over warm cookies. Add sprinkles if desired. How could you not want to devour these right now?! I’m seriously salivating as I type this now! And as I mentioned before, I LOVE Sugar Cookies and have done several in the past. Be sure to check those out too cuz they are all awesome! 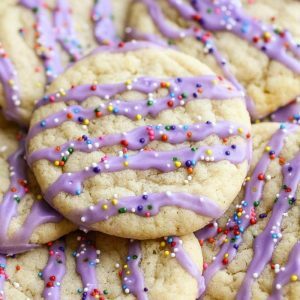 I love a good chewy sugar cookie! These look great – adding to my list of ones to try! Holy moly! These look incredible! Unfortunately I have no corn syrup or butter-flavored shortening. Maybe I’ll have to get me some. Are those ingredients what make these cookies so soft? Because whenever I make sugar cookies, they usually end up hard as rocks after a day or two. 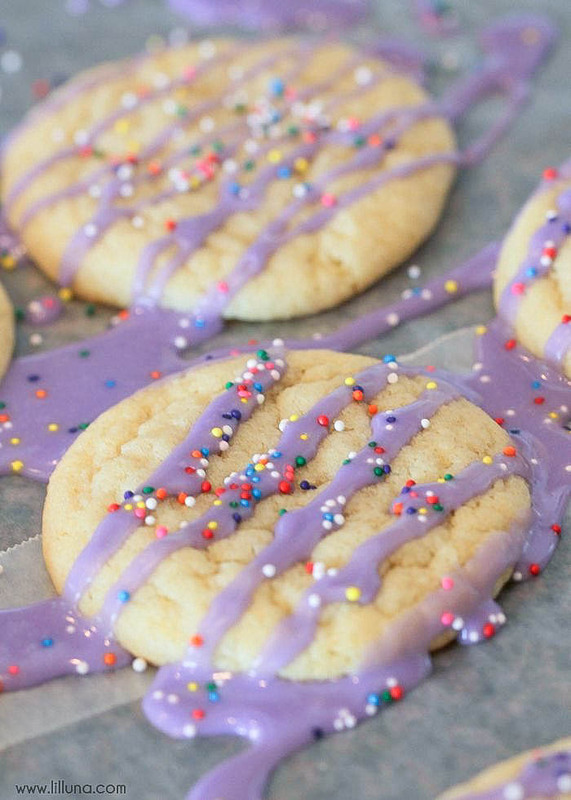 I love all of your other sugar cookie recipes, but this one just didn’t work out that well for me. The taste was really good but they did not spread out that much. I will have to make them again. So excited to make these! Do you think the dough would freeze ok to cook later?